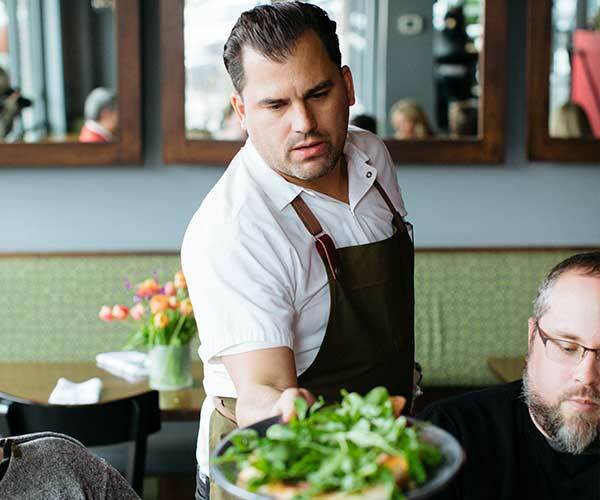 Chef Nick Strawhecker opened Dante in Omaha, NE, in 2009, ushering in a new era of farm-to-table, hyper-seasonal dining for the region. An Omaha native, Strawhecker’s love of cooking with local, fresh ingredients dates back to preparing family meals with his grandmother, making homemade sausage with his Italian grandfather and helping his mother pick the best vegetables from the garden for dinner. When the family moved to London for a few years, Strawhecker had the opportunity to travel throughout Europe, growing his love for fine food with oysters in Paris, mussels and frites in Brussels and wood-fired pizza and pasta in Italy. Strawhecker started his professional path by earning his associate degree in culinary arts from Johnson & Wales in Providence, RI, before spending two years working at a small bistro while attending Northern Arizona University. He then traveled to the Piedmont region in Italy where he completed the Master Chef’s Program at The Italian Culinary Institute for Foreigners and followed that up with a stint at the Michelin-rated Relais & Chataux property Il Falconiere in Cortona, Tuscany. 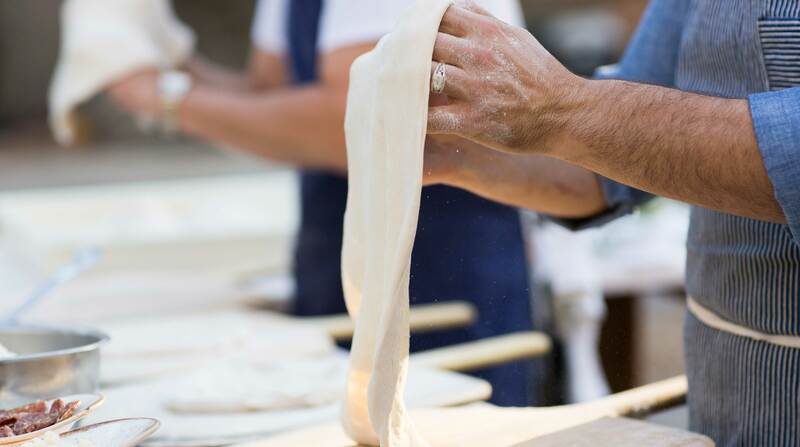 While in Tuscany, Strawhecker folded pasta under the tutelage of renowned chef Michele Brogioni, experimented with produce from the restaurant’s garden for the daily menu and explored authentic, sustainable Italian vineyards. He then honed his skills at renowned restaurants in Chicago such as Spring under James Beard Award winner Shawn McClain and XIX in Philadelphia before heading back home to Omaha to open Dante. 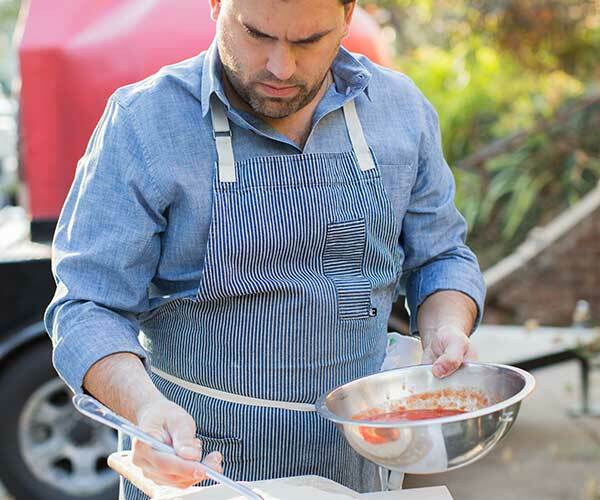 Chef Strawhecker has brought his modern take on traditional Italian cooking to America’s heartland by cultivating relationships with growers and producers across Nebraska and the Midwest. As a result, the Dante table is ruled by the seasons. Each dish is rooted in Strawhecker’s fundamental love for Italian food and wine, then elevated by his unique skill and craft. Dante was Omaha’s first restaurant specializing in Neapolitan pizza and is certified by the Associazione Verace Pizza Napoletana — the global arbiters of Neapolitan pizza. The restaurant is also home to one of the largest Italian wine lists in the state of Nebraska and regularly hosts wine classes, dinners with vintners and other events.